Administrators are always trying to find innovative ways to increase teacher efficacy and student achievement in the classroom [see my last post on the departmentalizing model of instruction.] Looping tends to be another popular strategy to also address those two important levers. There comes a time in a teacher’s career where they have “the” class- the one that builds such a strong bond among one another, shows astronomical growth, and no one wants the year to end. Because relationships are so important in the education of children, many administrators have decided to try and keep such successful bonds together as a learning cohort where the teacher would follow, or loop with, their students to the next grade level and beyond. Looping often occurs for 2+ years with either the entire class or most of the original students so that the consistency of instructor and teaching methods in addition to the relationships built propel student achievement in the classroom. Administrators often ask for teacher volunteers to move to participating grade levels, especially if student population numbers increase then the need to create an entirely new class in the next grade level creates the opportunity to loop. Parents are next notified and often given the chance to ‘opt-out’ if they feel the opportunity is not a good fit for their child. In working with numerous teachers each year to build their instructional capacity, I often get asked for tips and tricks for looping with a class. Since I personally have not looped with any students (although if I had been asked, I can think of a few classes I would have definitely jumped at the chance! ), I decided to learn more from educators who have had experience with the looping model. I reached out with a Google survey on the topic of looping to my educator tribe through various teacher Facebook groups as well as consulted a veteran teacher’s, Michelle Pecanic, May 2003 master’s thesis research on ‘The Experience and Effects of Looping in the Elementary Classroom” (which can be found here). The response was overwhelmingly insightful and positive. Why did your school create looping as an option for teachers and students? Undersized/Oversized Classrooms – If a student population was undersized at a particular grade level, a teacher would be moved to teach an oversized student population, often in the next grade. Add-on School – One school was growing from the ground up and added a new grade onto their school grounds every year which created the need for a whole new grade level, allowing the option for teachers to loop with their students. Variety of Instructional Options Offered – Some schools provided numerous alternative approaches for student learning including options such as the traditional classroom, a shared teacher, multi-age and looping. What were the benefits of looping for students? No Adjustment Needed– When students continue learning from the same teacher, they come to know the teaching style, expectations and routines well. There is no reason to start over, rather teachers can implement a quick review of procedures and expectations and pick up with the learning where they left off. This leads to little stress and anxiety at the beginning of the school year for students. Also, the rapport in the classroom culture deepens instead of develops. Time Added to the Clock– Since students already have established relationships with each other and the teacher, the “get to know you” activities are no longer needed and academic instruction can begin right away. This seemingly adds on an additional month of instruction to the teaching calendar. Deeper Learning– There is no time spent getting up to speed on student learning needs and academic performance due to already having that knowledge from the previous year. Learning can just build on the prerequisite knowledge gained allowing time for a deeper understanding of content. 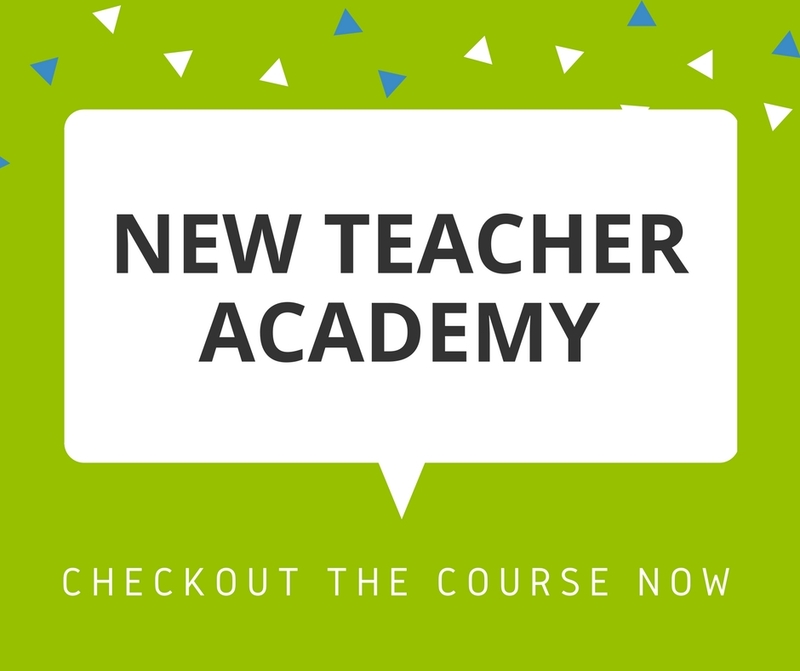 Welcome Newbies– If new students arrived to the well established classroom culture, veteran students became instant leaders to help the new students adjust and provided plenty of tips and advice for how to be successful in that particular classroom. What were the benefits of looping for the teacher? Instructional Style Remains – As stated above, no adjustments are needed for expectations, routines, and teaching style. The teacher does not need to spend time developing, retracting, or explaining these things, rather just re-teach the nuts and bolts and dive into learning. Teachers enjoy getting to teach right away. Relationship Growth– Similar to the strong relationship foundation that students benefit from, so do teachers! Not only do they not need to spend time getting to know students and their parents, but they can dive deeper into these relationships, meaning all stakeholders are on board immediately which leads to higher student achievement and buy-in. Also, students dive into the role of mentoring each other without the teacher prompting or requesting due to the pre-established “family” feel developed the previous year. Background Knowledge on Students– Educating a child whom you already know their learning journey and needs saves time and energy in developing appropriate instructional supports. Since teachers know what was taught last year, they do not need to spend time researching students’ previously learned skills in order to build these acquisitions into current instruction. Not only can teachers more easily hold students accountable for their previous learning, but they now have extra time available to create new and meaningful learning experiences. Freedom in Boundaries– Due to added time on the clock since teachers already know their students and curriculum, they have more freedom to cover additional curriculum or teach required content at a deeper level. 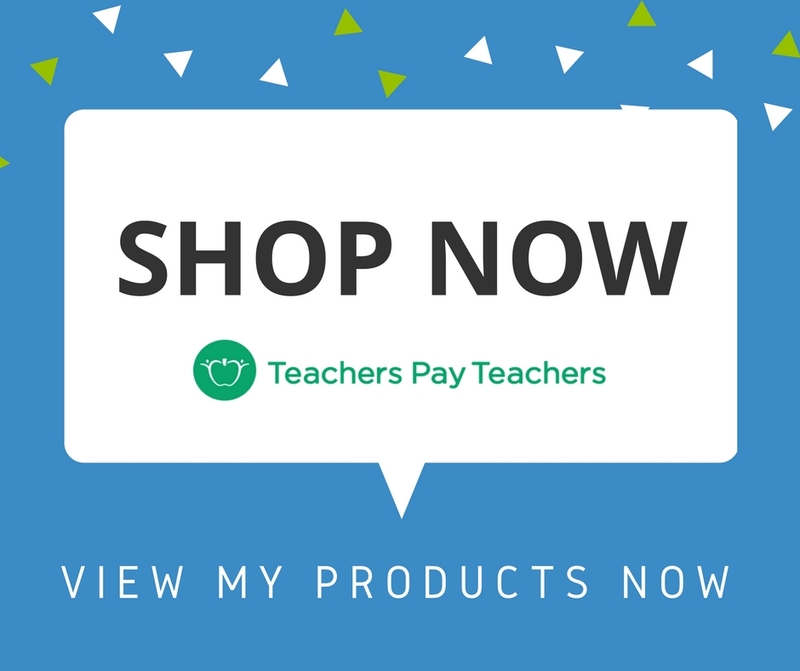 This allows teachers to take risks, try new things, and use their creativity in new ways, where under normal circumstances time would not allow. Less Behavior Distractions– Many teachers reported that they had fewer behavior issues the second year due to teachers and students being familiar with one another as well as the expectations already being established with very little wiggle room to push the boundaries. Since student behavior was easier to manage, that made more time for learning. 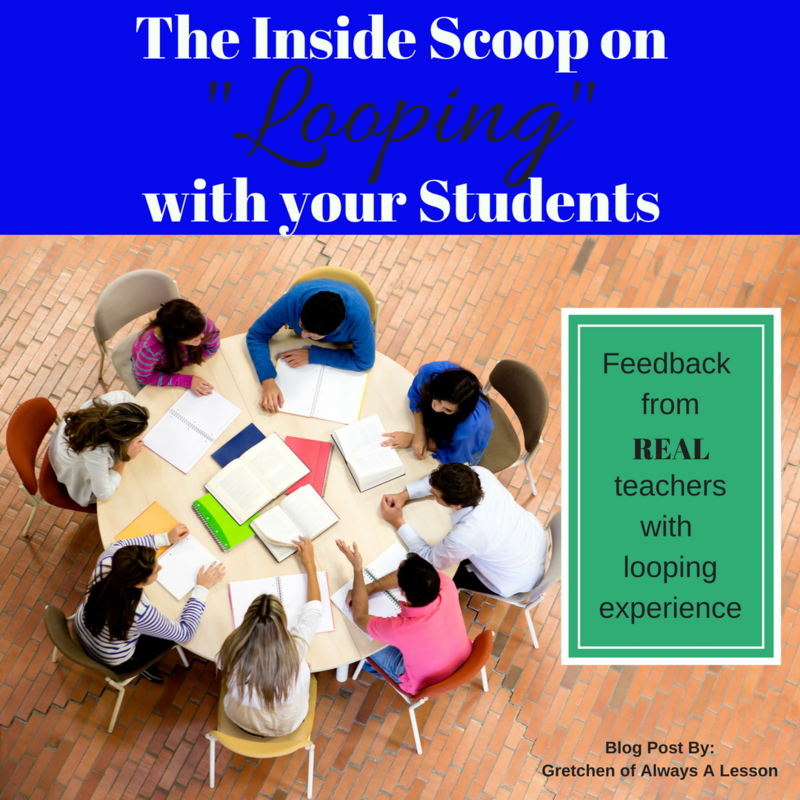 What were the drawbacks of looping for students? Long-term Commitment– Some school sites require parents and teachers to sign on to the looping model for multiple years without the option to exit. In this case, if a student had a rough first year with a teacher or class make-up, the second year was bound to be rough too. Often times, some students do not work well together the first year, and that same problem repeats itself in year two. Developing Teacher Skillset– If there are weaknesses in a teacher’s instructional skill set, students would be at a disadvantage from those very same weaknesses two years in a row. Student Cliques– Since students have created a year-long bond already, often times more student cliques exist in the second year, especially as there is less interaction with students in other classes. In addition, students who did not make many friends the first year, will often experience a repeated problem the second year. Lack of Novelty– Although there certainly are benefits to keeping things the same, sometimes a lack of a fresh start can negatively affect students because they do not experience another teacher’s strengths or style as well as do not develop new friendships with new peers. The same-old-same can be demotivating for some learners. Preconceived Notions– Summer can oftentimes help students mature and change; however, a teacher with extensive background knowledge on a student could potentially use these preconceived ideas when interacting with that same student in the second year, which would be unfair and hard to alter moving forward. What were the drawbacks of looping for the teacher? Long-term Commitment– Just like mentioned above, teachers often commit to the looping model for multiple years. If there are student or parent obstacles in the first year, it can be hard to move past those and start year two fresh. In these instances, a break from partnerships is ideal, but not always available. Developing Teacher Skillset– When a teacher moves grade levels, it can expose the strengths and weaknesses of a teacher’s content knowledge, instructional expertise, etc. It can be extremely challenging to learn multiple sets of curriculum at deep levels in order to translate them into student friendly language within a short timeframe. As a result, planning time increases tremendously for teachers as does stress. A teacher might begin the looping process as distinguished on the teacher evaluation rubric, but and then drop in proficiency in the next grade level assignment due to the factors just mentioned. It is as if they become new teacher all over again. New Grade Level Requirements– If teachers are looping up to a new grade, there might be additional staff duties or curriculum requirements to adjust to (ie. testing), which can be another added layer of stress, anxiety, and quite the time suppressant. How did your teaching change once you looped? Relatability– Since relationships are established and built upon the longer teachers remain with the same group of students for instruction, the way teachers interact during a lesson morphs from stoic professional to a more relatable, casual and friendly demeanor due to the family feel. 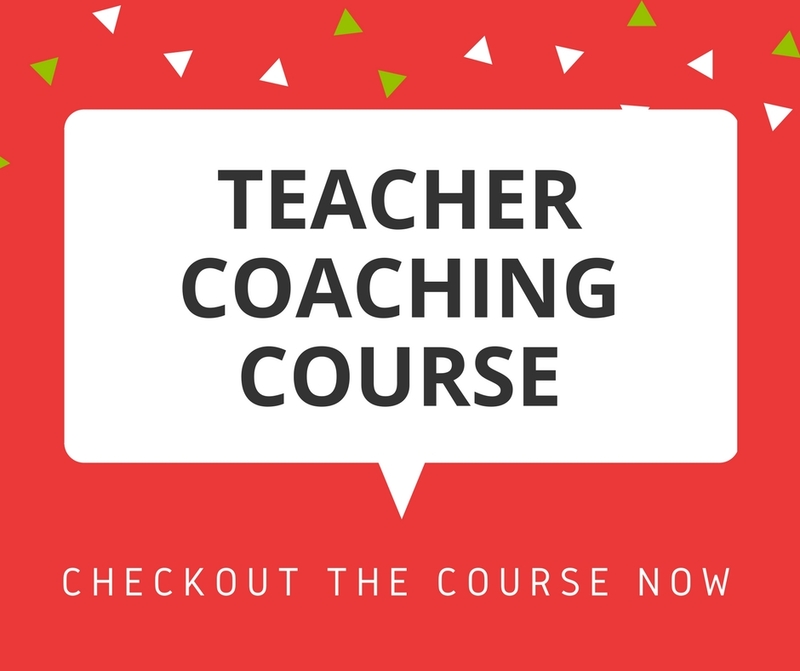 Seamless Transition with Content– Teaching a previous grade followed by advancing to the next grade level allows the teacher to develop a keen awareness of how skills build upon each other, making it easy to weave previous and future skills into a single lesson. Teachers reported being able to think big picture as well as vertically in terms of standards and content topics. This lead to increased skill and confidence. Targeted Instruction– Having additional time with a group of students allows teachers to hone in on missing skillsets and ensure instruction addresses those gaps. This becomes more effortless the longer a teacher remains with the same group of students. Students benefit the most when teachers are familiar with their learning habits and skills. 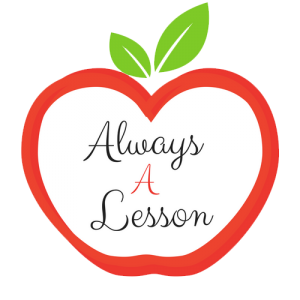 Reflective Practice– The increased pressure to ensure student achievement increases each subsequent year of the loop creates a mindfulness that encourages teachers to stop, reflect, and adjust their instruction. Reflection allowed teachers to hold themselves to a higher standard because of the increased responsibility for student learning trajectory. Some teachers even reported sending out surveys to parents and students for feedback on what to do differently the following year. Since the relationship and bonds were strong, both students and parents were honest and open with their feedback to the teachers. In addition to asking for feedback, many teachers were able to incorporate student ideas, preferences and suggestions into lesson design because of the time they gained from established routines and relationships. What concerns (if any) did parents have in regards to looping? Strong Teachers– When many schools shared the looping option with parents, almost unanimously parents responded that they wanted an opt-out option if they felt the teacher was not a good fit for their child- a good fit might refer to personality, teaching style or teaching capability. In addition to the connection a teacher and student might or might not have, many parents worried that teachers were incapable of being proficient in teaching multiple grade levels due to differing content standards and as a result often pigeon-holed teachers as being a one grade type teacher. Peer Relationships– When students continue learning with the same student dynamics, they lose out on potential friendships with other peers. What is something you wish you did differently in regards to looping? All or Nothing– Some teachers reported only looping with part of the class for one reason or another and for those that did that, felt that they missed out on maximizing the benefits for all students. The suggestion was made to loop with the entire class. Continue On– Teachers loved looping with their students and many commented that they wished they were able to continue doing it after the opportunity was over- whether due to changes in schools, leaders or instructional options. Relationship Interjection– A big battle for teachers once they looped with students was the change in peer dynamics. Most students were very close but due to constantly being together, students struggled to tolerate every one of their peers on a consistent basis. A teacher suggested spending more time on helping students develop tolerance to better navigate changes in peer relationships. Consistent Documentation– Surprisingly, teachers realized that they had a lack of data to compare student achievement year to year and would have found it more helpful to increase consistency in what what being documented and how. 78% – Yes, I would loop again. 17% – Maybe. I would loop again depending upon specific factors. 5% – No, I would not loop again. This data showcases the positive experience teachers had with the looping model, even with the shared drawbacks for the teacher or student. The group of teachers on the fence about looping again in the future were still interested and would be open to the idea, but wished to have more information before making a commitment either way. Lastly, the small percentage that said ‘no,’ was due to negative experiences in how the looping model was introduced and managed by school leaders. Therefore, if a different school or leader opened up the opportunity, there is a likelihood that a teacher’s ‘no’ would turn into a ‘maybe’ with request for more information. It is imperative schools think through how they plan to approach implementing this model of instruction so that teachers and parents have the option to participate, feedback and support is provided to overcome hurdles, and students’ best interests are kept top of mind at all times. Colleague Perception– In a school where not all of the teachers looped with students, created animosity towards the looping teacher and their students. A negative view on the instructional model created a divide among colleagues and hurt students when they moved into a non-looping teacher’s classroom. Lack of Insight– Since looping is a rather new approach to educating children, there is a lot of misinformation shared on how it is best utilized. If colleagues do not see the benefits of the initiative or come to believe it is only for disadvantaged learners, a lack of support from staff can result. Administrative Push Back– Whether teachers or administrators changed schools, teachers who enjoyed the looping opportunity, did not have that option again. Therefore, teachers wished more administrators were more open and flexible in allowing looping as an instructional option for students. The instructional approach of teachers looping up to the next grade level with their students dates back to a one-room schoolhouse in the United States called the Waldorf Schools, named after Rudolf Steiner’s educational philosophy. These schools allowed teachers to progress with students only out of necessity due to a teacher shortage and lack of growing student body. Looping is becoming known for being “a low-risk, low-cost reform that encourages teacher accountability and professionalism.” It is low-risk because the drawbacks are not exponentially damaging to student advancement and it is low-cost because teacher assignments are simply re-arranged with no financial commitment required. Teachers are held to higher accountability standards since educating the same group of students for a longer period of time. This results in increased professionalism as the stakes are raised for teacher efficacy. Today, looping is most often seen occurring in a timeframe of two or more years where teachers team up together (one teaching a grade below and one teaching a grade above) and then swap classroom assignments every two years. This is often referred to as a multi-year teaching assignment. Relationship Building– When teachers, parents and students remain together for longer chunks of time, relationships have time to be cultivated and enriched, benefiting all stakeholders. Academic Benefits– Students benefit from having consistency in instructors who have additional time on their side to better meet student needs, both academically and socially. Instruction– At the beginning of the year, teachers spend a significant amount of time, usually about one month, getting to know students, establishing routines and procedures, as well as conducting baseline assessments to inform their instruction. In subsequent years of looping, teachers report increased instructional time leading to increased student achievement because they do not have to spend that first month of the school year establishing protocol and collecting data. This means teachers can cover the curriculum at an advanced rate, pace, and depth to enrich student learning. Relationships– When teachers and students spend a significant amount of time learning together, a strong community is created that develops into a family atmosphere over time. This is beneficial for all types of students, but especially for shy students reluctant to adapt to new situations or emotionally needy students with unstable home environments. When students expect to return to the familiarity of the same classroom environment and teaching methods, anxiety and nervousness lessen and emotional stability increases. This consistency in learning environment provides a sense of stability and safety. Parents benefit from the developing relationships too as they are more willing to participate in a productive partnership for the benefit of their student’s achievement, willingly sharing personal details about home life pertinent to a child’s well being and much more. Teacher Ineffectiveness– There are a few situations in which a teacher may be ineffective while participating in the looping model. An educator new to teaching or to a grade level puts students at a disadvantage as they try to learn a new curriculum, develop classroom management and/or follow school protocol. The timeframe in which the looping model was implemented could cause stress or anxiety for some teachers if it was last minute, unstructured, or unsupported. Some schools appoint teachers to participate in looping instead of gauging their interest first. A teacher’s disinterest in participating in the opportunity could negatively affect students’ learning experiences. A teacher might be rigid in their instructional delivery methods and due to lack of adjusting to student learning styles or experimenting with new teaching techniques, students could become discouraged, frustrated and/or bored. Student Make-Up– Creating a class list requires a lot of forethought to ensure that there is a balance in gender, ability levels including special needs, and student behavior. If a class make-up is out of balance in one area or another, added stressors exist which negatively affect the benefit of looping for students. Since looping is a long-term commitment, student disagreements or mistreatments (ie. bullying) create a long-term negative situation that is hard to eliminate as unresolved issues only get worse with time. Student Movement– The main benefit of looping occurs after multiple years in the same learning environment, so a mobile population of students, or students who might move away after the first year, would not be ideal candidates to participate in the looping model. Also, if a large amount of new students enter the classroom after subsequent years, it can be difficult for those students to make up for lost time, creating a large adjustment gap. Relationship Bonding– A strong bond among students, teachers and parents might seem like an advantage of the looping model, but separating all of these stakeholders after the time requirement for the opportunity was met, can prove difficult for many students. Separation anxiety grows, creating a hard adjustment for new learning opportunities in the future. Through the research presented in this post in addition to the personal experiences shared by veteran educators, there is an overwhelming amount of positive evidence in favor of looping with students. It is important to note that the effects of looping are often not seen immediately, rather begin to become apparent after the second year of looping. It also seems that the surveyed educators experienced much of what the research said both in terms of benefits and drawbacks to the initiative. With confidence, I can say looping is an effective strategy schools should consider both for teacher efficacy and student achievement. Would you be open to looping with your current students? Why/why not?